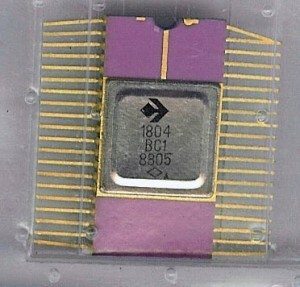 In 1974 Monolithic Memories Inc. (MMI) announced the 6701 bit slice device. 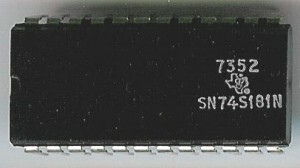 At its heart the 6701 is a 4-bit ALU much like the 74181 TTL IC. The 6701 adds a register, and some other support circuitry on chip making it much more adaptable. The 6701 has an approximate complexity of 1000 gates (meaning it would replace 1000 gates worth of TTL). The 6701 was made on a bipolar process and ran at 5.2MHz. Later versions would up this speed to around 11MHz. 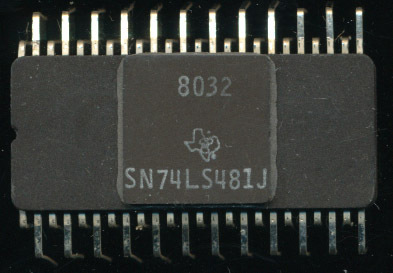 The 6701 continues on until around 1980 by which time the AMD 2901 bit-slice processor had come to completely dominate the market. 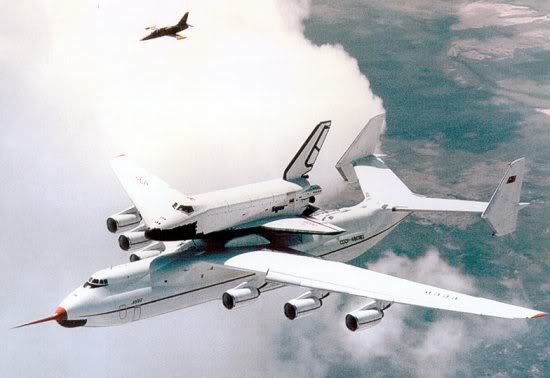 The Soviets however cloned/modified the 6701 as the 1802VS1 through the 80’s and into the 1990’s. 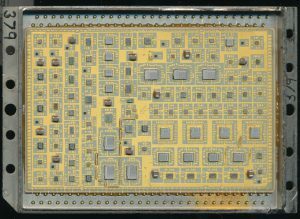 In August 1975 AMD introduced the ‘100 ns Bipolar microprocessor.’ This was a bit-slice device. Essentially a 4-bit ALU (like a 74181) with functionality (scratch pad memory and accumulator register) to make it work as a processor that could be scaled to any bit width (using the 2909 sequencer and 2910 controller). Being made in bipolar allowed for the high speed (10MHz at the time was pretty quick). The introduction of the 2901 also marked the beginning of the end to the competition int he bit-slice arena. A combination of marketing, second-sourcing, and a good product allowed AMD to completely dominate the bit-slice market. Even today most bit-slice designs are based on the 2901 from 35 years ago. At the time there were several other bit-slice processors on the market. 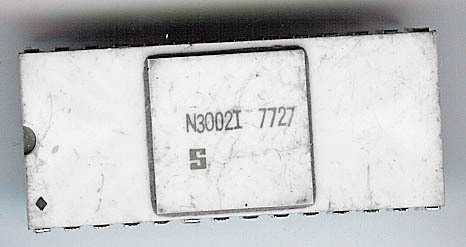 Intel had the 3002 (a 2-bit design), National’s IMP-8 and IMP-16, and the original TTL 74181 were all bit-slice devices. 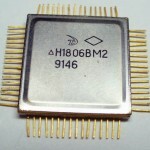 MMI (which AMD bought in the 1980’s) had introduced the 6701 4bit slice in 1974, a full year before AMD’s 2901. TI had the SBP0400A and Motorola the MC10800 (in ECL – 1976). So why with all this competition did AMD come to dominate? 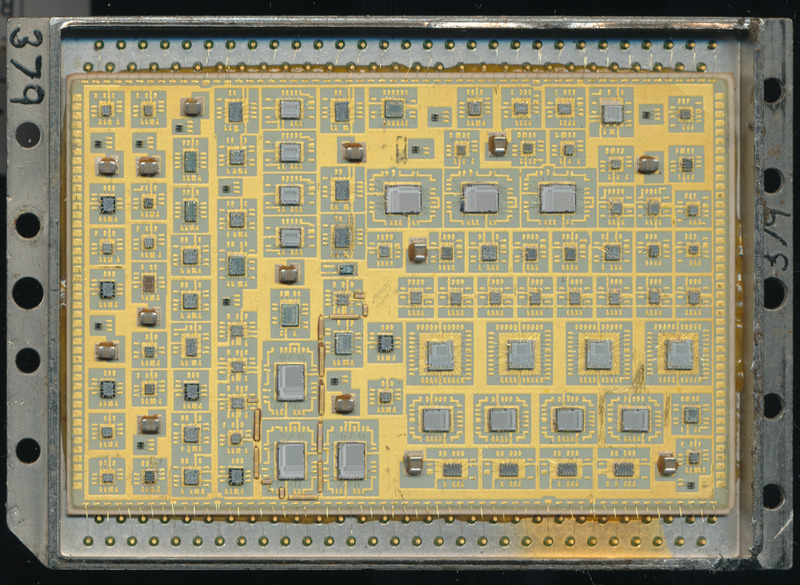 In the 1970’s making IC’s was a relatively new process, one with many bugs, and often reliability issues. Having a second source was a must to get a big design win. A system design would not want to design a system around a chip that may end up not being available, or not be available in the quantities needed. Having a second source to get the IC from alleviated this problem. 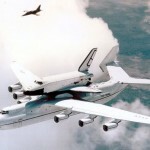 It gave system designers a stable supply, regardless if the primary source could not keep up, or had a problem. Second-sourcing helped solve distribution problems as well. A company may have an excellent design, but no way to sell it. Often this was a geography problem. American companies did not initially have a large presence, or distributors set up, in Europe or Japan. An American company would often second-source a design to a European company (such as Siemens or Thomson) solely to get their design distributed in that area. One of the keys to a processors success is design wins. It can be the best processor on the market,. but if no one uses it, it will fail. Having additional companies make, and market the processor vastly increased its exposure. 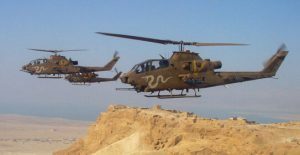 Second-source companies would also typically make development systems, and other support tools, as well as vast documentation for the processor. This helped ensure that engineers knew about the processor, how to use it, and whee to get it, ensuring its winning of more sockets. AMD clearly understood the importance of second-sourcing. In November 1975, just months after the 2901 was released, they designed an agreement with Motorola to make the 2901. 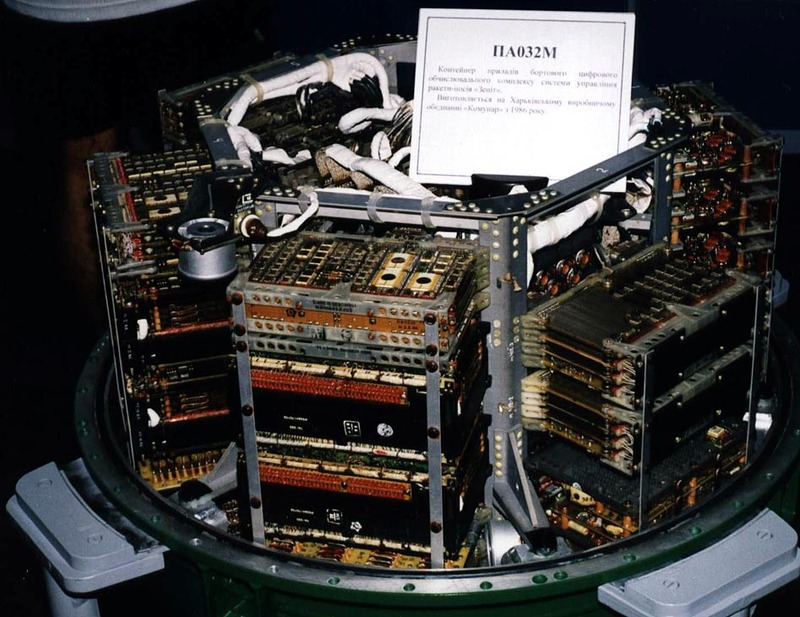 In December, they signed up Raytheon, and in March of 1976 AMD signed an agreement with the SESCOSEM division of Thomson-CSF, to make and distribute the 2901 in markets outside the US and Japan. In June 1976 AMD amended their agreement with Motorola to include more technical assistance, ensuring Motorola could get the 2901 to market. 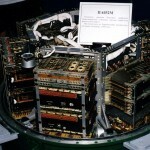 In September 1976 MMI canceled the 6701, as they were unable to compete. MMI had no second-sources for the 6701 which likely led to its failure. As the years went by, AMD added more second-sources, and dropped a few. Eventually coming to completely dominate the bit-slice market. The Soviets began to copy the 2901 around 1985 (not particularly legally but they did what they had to) and continued to do so until well into the 90’s. 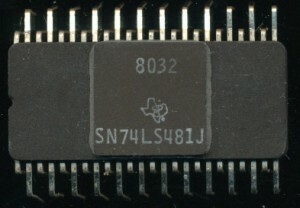 Several other companies also designed multiple 2901s into a single chip. 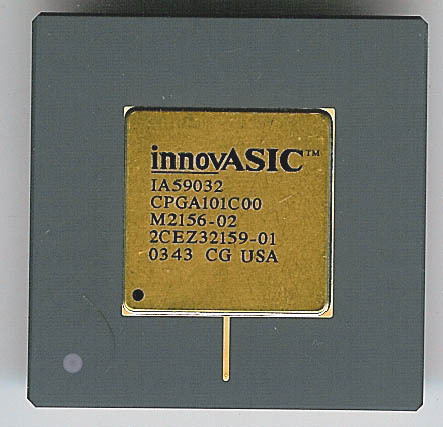 WSI (and later InnovASIC) designed the 59032, which has the equivalent of 8 2901s to form a 32 bit slice and the 59016 which was 16bit slice (4x 2901). IDT designed the 49C402 which was also a 16 bit slicer. Today the 2901 is still in wide use, and while not generally used for new designs, it still powers a vast amount of electronic equipment that still is in use. 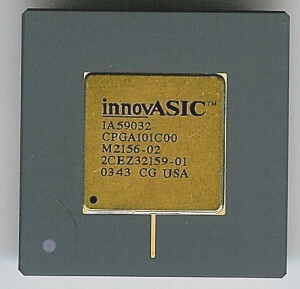 InnovASIC still manufactures the 2901 (in 59032 form) to this day. 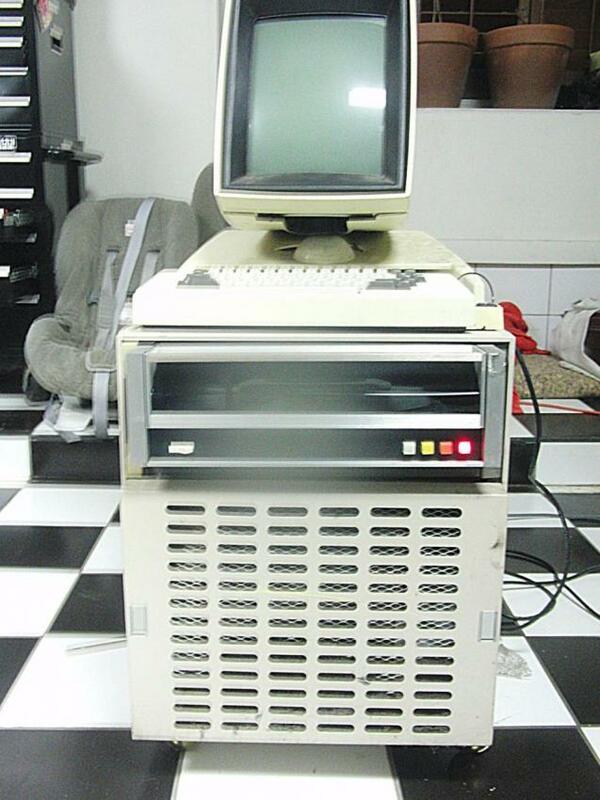 Just last month an Apple 1 computer sold on eBay for almost $23,000. Today, the father of the PC, and where Steve Jobs got many of his inspirations (as did Bill Gates and numerous other founders of the computer industry), sold on eBay for a bit over $30,000. The Xerox Alto was really the first modern computer as we know it. It was developed at the PARC research center, and had Ethernet, a mouse, a GUI, and assorted other things we are rather use to now. The date? 1973. Xerox did not understand the significance of what they had. They made over 2000 Altos of various configurations, but never sold them, most were simply given away to friends, workers, and universities. 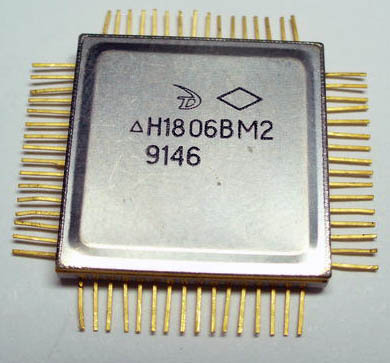 The Alto was powered by a custom16-bit bit-slice processor consisting of 4 TTL 74181 ALU’s one of the first uses of the 74181, which was itself the first single chip ALU. The 74181 consisted of around 75 gates, and could perform 16 arithmetic functions and 16 logic functions on a pair of 4-bit inputs. It was, for its time, very fast, much faster then most of the single chip processors of the time. A 74S181 like shown here, using Schottky technology, could operate at up to 90MHz or so. Obviously in a computer like the Alto actual clock speed would be reduced to match what the memory could do, which in the Alto, with its 128K of RAM, worked out to 5.8MHz. Back in the day of CPU’s National was on the forefront of CPU design, while Intel was messing around with 4 and 8 bit designs. It by itself was the 4th CPU, and the 1st bit slice device. These were sold in a set by National, and in a pretty nice box. Later on National implemented them as a single chip, the IMP16A-500D PACE, and then the NMOS INS8900.